EXTREME JETFAN 90 GRP 6s 2.1Kw COMBO - $313.00 : RC Hobbies at Extreme RC Electric flight Specialist, best range of ducted fan EDF jets in Australia! The new EXTREME 90mm fan combo using the new GRP (glass reinforced plastic) 4 stator housing from HET! This housing has been revamped and molded in a heavy glass reinforced nylon, more glass than plastic! Sharp well contoured stators provide excellent directional performance for the Jetfan 90 rotor, the end result is excellent efficiency and power along with the sound!! The 6 cell combo comprises of the new 90mm GRP housing with JF90 rotor and collet assembly, this is combined with an HET 650-58-1970kv motor to give very strong performance on 6 cells and lightweight at approx 400 grams. 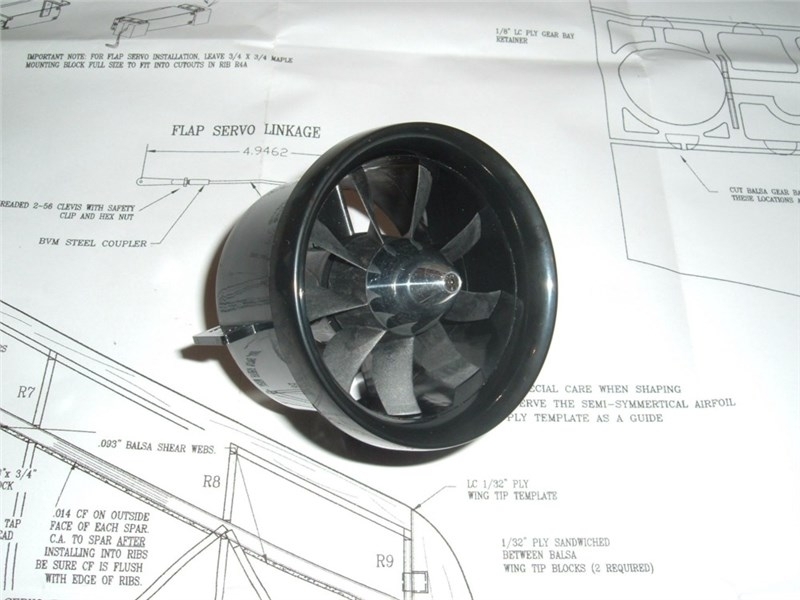 The whole fan is assembled and dynamically balanced ready to install into your model! NOTE: A new GRP inlet lip is now in production and is available to purchase if you need one, bear in mind 95% of models do not need an inlet lip. Testing has been done on the thrust stand with regular inlet lip, using 5000mah 45c packs and 10,000mah 20c packs to get an idea of performance changes with battery size. 6s10,000 30c: 22.76v / 102.5A / 2332W / 35,940rpm / 3.75kg thrust!